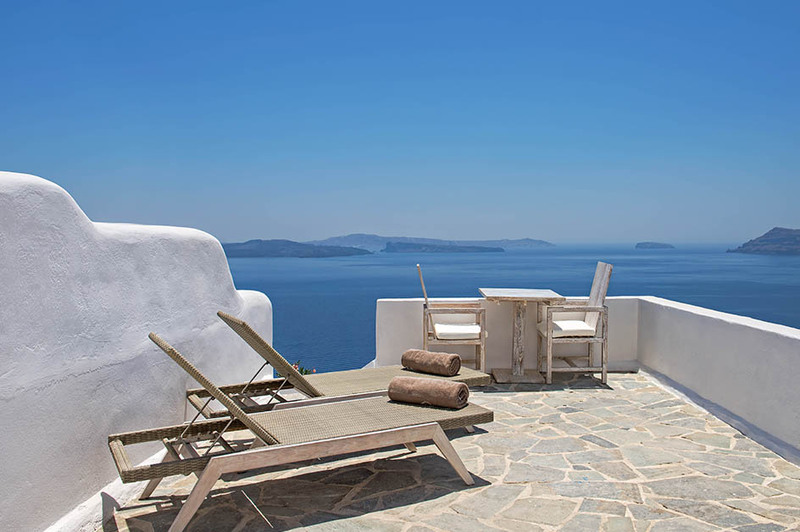 Perched on the stunning, steep Caldera cliff, where sunset colors are radiant, the Ivory Suite and its whitewashed curves combine the traditional Santorini architecture with the carefully placed contemporary accents. 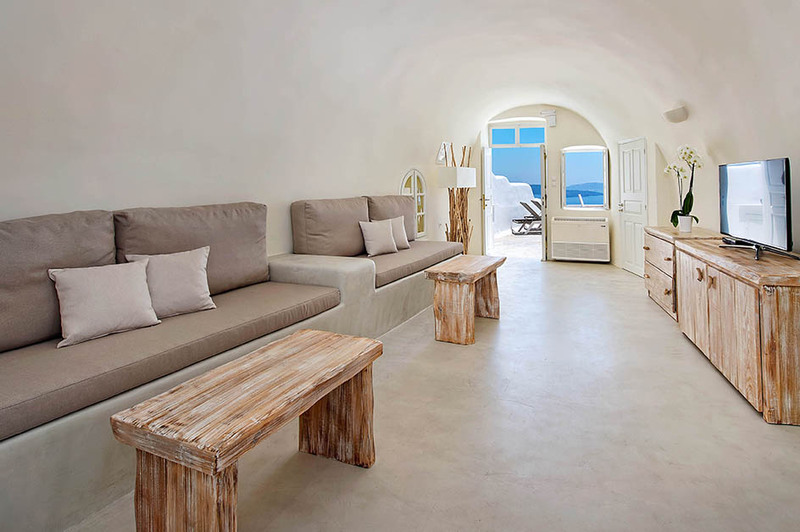 This dreamy cave style suite, handcrafted from local materials, boasts a secluded terrace that peers out onto the deep blue Aegean Sea and Santorini’s volcano. 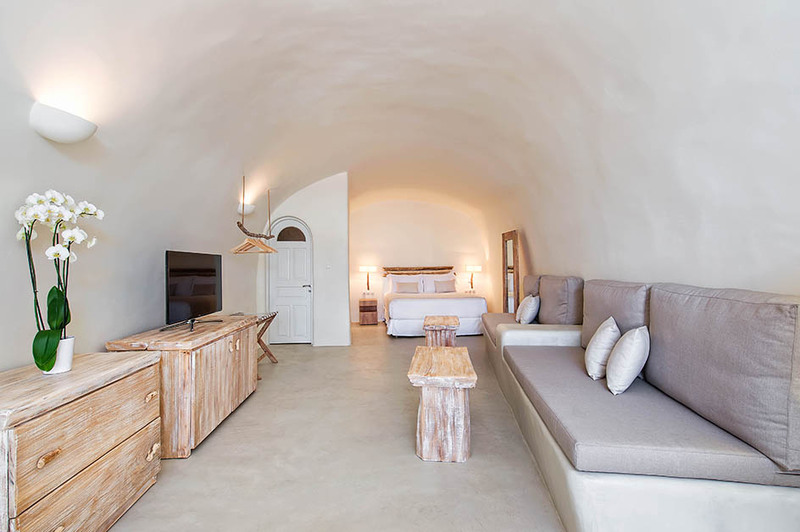 It consists of one spacious bedroom with a king size bed and an open plan living space, panoramic private balcony with open-air dinning area and sun beds. 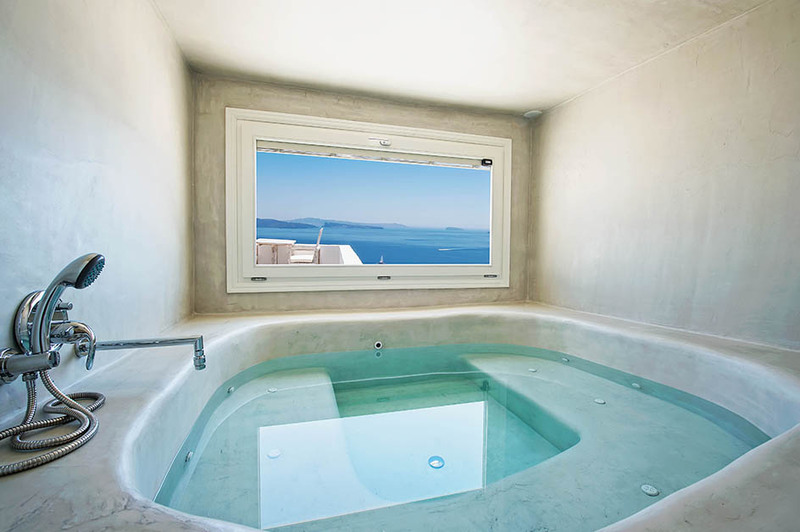 A bathroom carved into the rocks with a walk-in shower and an indoor hot tub with unobstructed views to the deep blue sea, complete this exquisite suite. 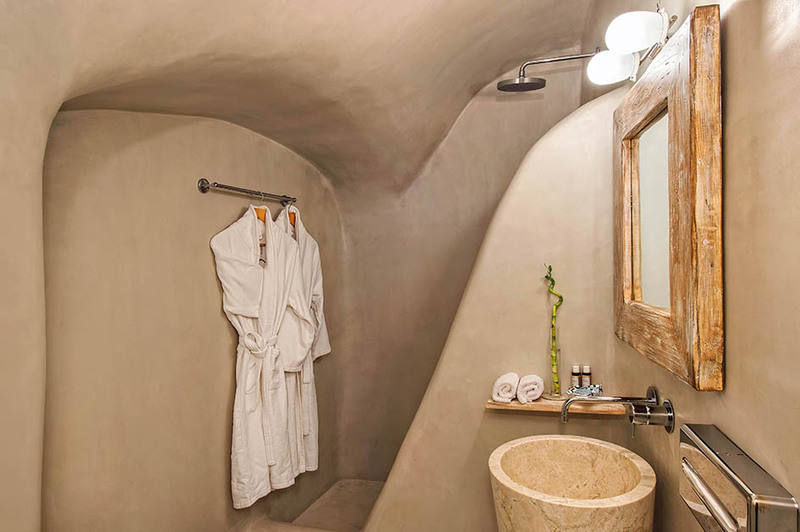 Ideal for a couple or a family with a child, the Ivory Suite offers unforgettable relaxing and romantic moments. 3 day escape: 20% off for a 3-night stay. This rate is non-refundable and it is valid for stays from March 1 to May 31st and October 1 to November 15th. Indulge for longer: go long and save 30% for a week stay. 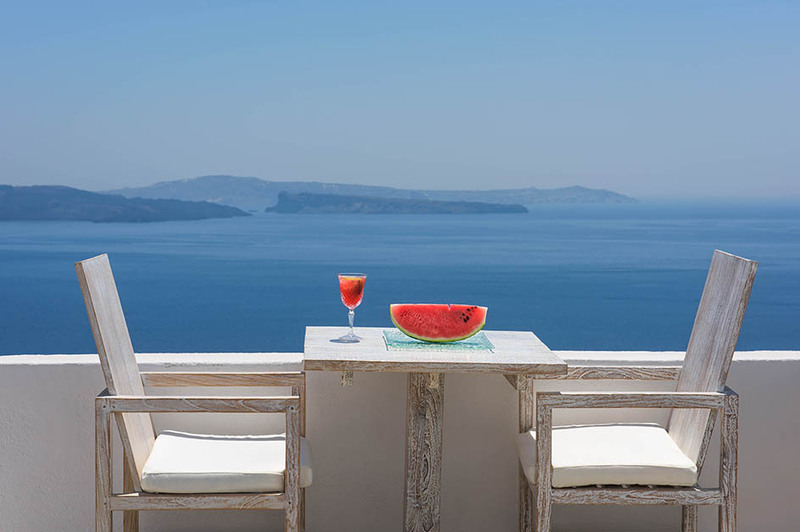 This rate is non-refundable valid for stays from March 1 to May 31st and October 1 to November 15th including complimentary arrival and departure transfer.